For today’s episode, I sat down with Amanda Stone – the “A” of A&M Events. A&M Events is a relationship-based event management company delivering thorough planning and solution-oriented execution for corporate and special events. They offer fresh perspectives that are rooted in authentic reflections of clients’ personalities and brands. Amanda Stone and Micaela Reed founded A&M Events in 2012. I have long known of Amanda and her partner Micaela role in Nashville’s event industry but only really gotten to know them personally in the last year or so. So I was looking forward to learning more. We talked about her entrepreneurial parents (making her a natural business owner), how she found her footing and passion for the event industry and the benefits of a business partnership. 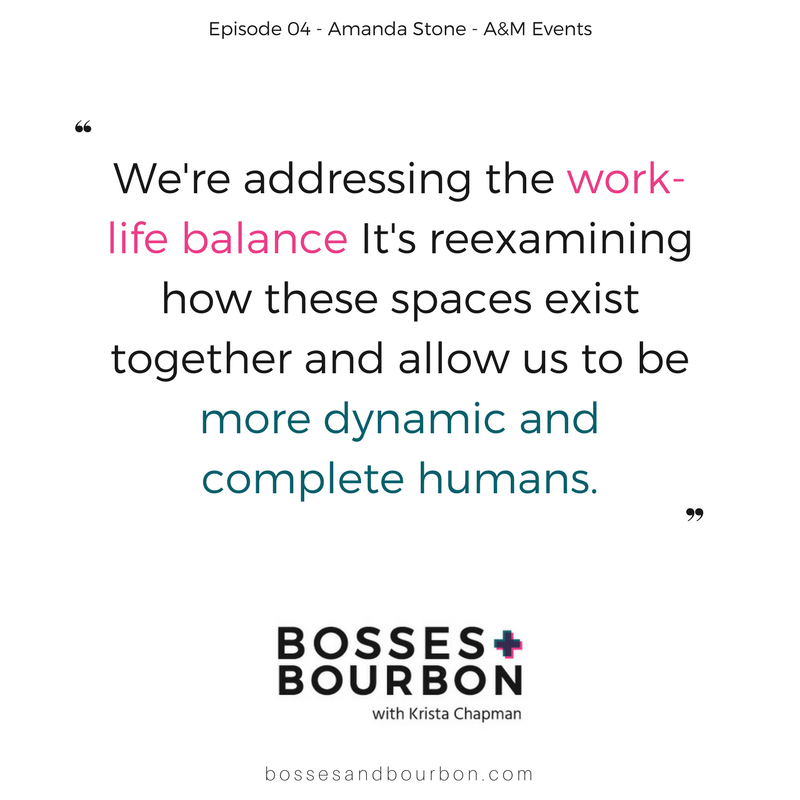 And then we dug into the stuff – sexism, ageism, generational challenges in business and knowing the work you do matters (even when it involves pretty things). While we didn’t chat over drinks, it was an enlightening and timely conversation nonetheless. Get in touch with Amanda at amanda@ameventdesign.com and keep up with her company at their website.